A rainbow stretches across the Mississippi River on a misty, windy day near Keokuk, Iowa. 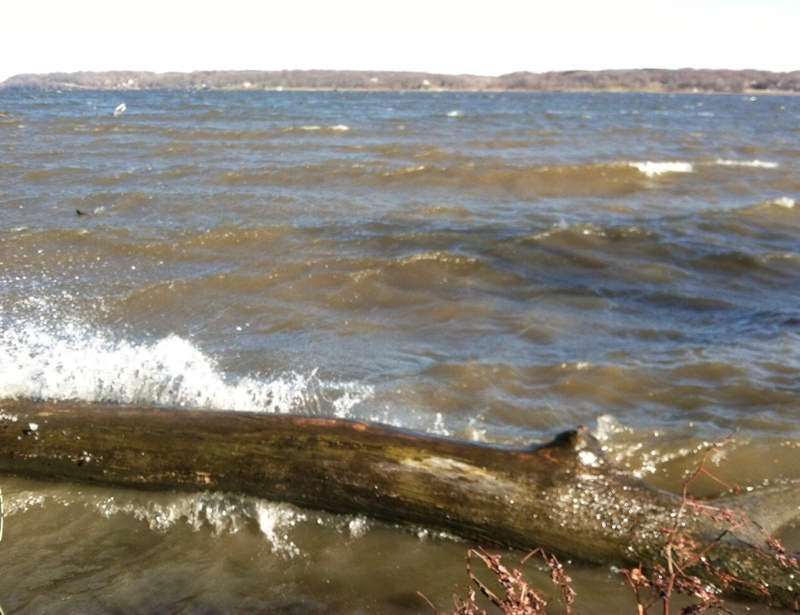 A strong east wind was stirring whitecaps on the river and keeping the pelicans grounded. The pending storm nearly kept me from my nightly run, but I’m glad I went ahead as planned. I would have regretted missing this scene. Interested in seeing scenes like this for yourself? Here’s a link to a map of my community, Keokuk, Iowa, located on the Mighty Mississippi. Here’s a link to a page on my newspaper’s website, dailygate.com, where you can find many valuable local resources. Here’s a link to the local chamber of commerce and to the local convention and tourism bureau. Come visit us! I added a little variety to my Thanksgiving run in Keokuk, Iowa, by creating a GPS drawing of a turkey. I used the Endomondo running app to track the run. You can click on the GPS drawing to go to the Endomondo site. The turkey itself is not quite 4 miles around. All together, my run was 7 miles. What did you do for your Thanksgiving run? We had avoided winter’s extremes up until this week, but Saturday’s short run was a cold one: 23 degrees, 15 mph NNW winds. When these conditions hit, the Mississippi River turns dark and foreboding, and the white caps eat at the shore.